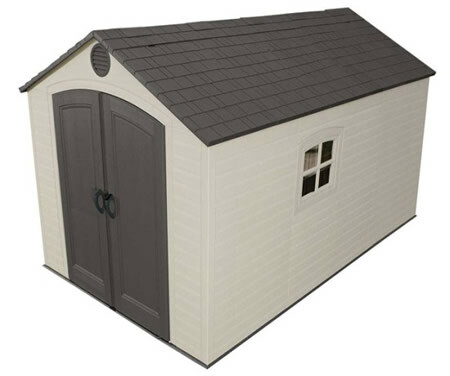 The Lifetime 10x8 plastic backyard shed 60095 includes plastic flooring, 2 windows, 2 shelves, 2 vents, 2 large and 4 small skylights! Ever been frustrated because you couldn't find the tools you needed in an emergency? 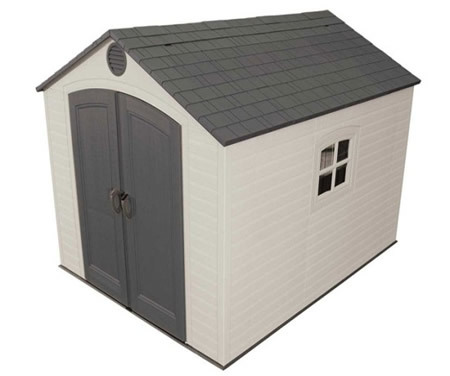 Be prepared and organized with a new Lifetime 8x10 ft tool storage shed. This backyard tool storage shed is well-lit with windows and skylights so you can easily find what you're looking for when you need it. 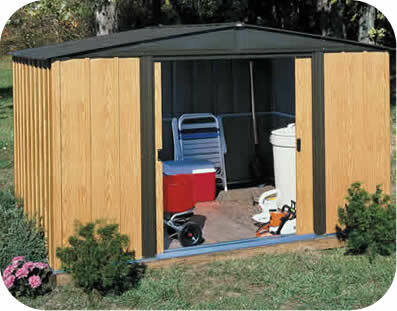 It's also designed with double doors for easy access for storing your lawnmower, weed eater or other yard equipment. 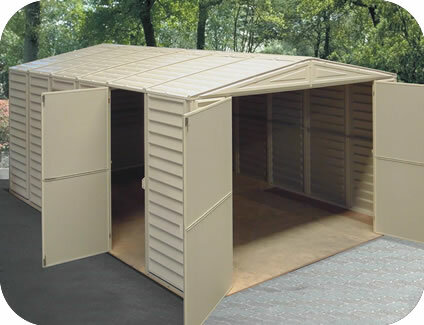 This storage shed comes with two 90 in. 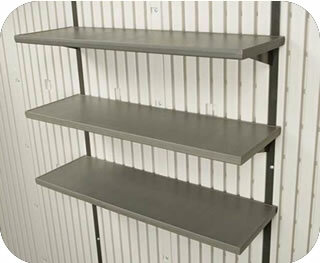 shelves for organizing your small containers and keeping toxic chemicals safely stored off the floor. 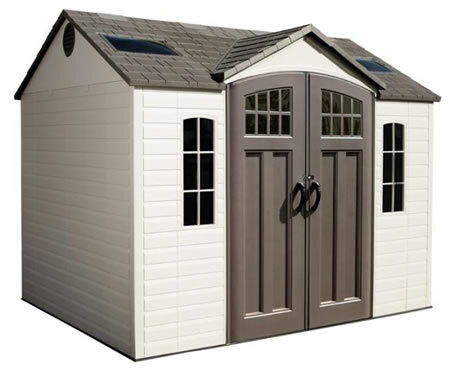 A Lifetime storage shed is constructed of UV-protected, high-density polyethylene (HDPE) plastic to prevent fading, cracking, and rusting. 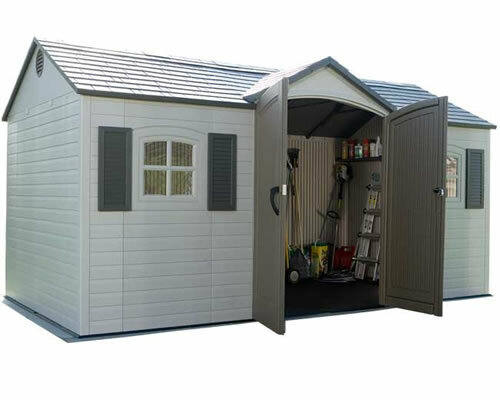 Keep your valuable tool collection and yard equipment safe and dry with a new Lifetime plastic storage shed that will last throughout the years. 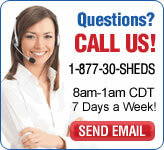 Interior Height – Minimum: 71"
Interior Height – Maximum: 95"